Sometimes, simply rebooting can fix this. That might not always work — sometimes you might have to reboot twice. Reboot twice!? Yes, reboot twice. Microsoft SQL Server is a Microsoft product, so Windows Updates can impact it. If updates have impacted it, rebooting doesn’t mean everything’s done — that’s when updates actually install. 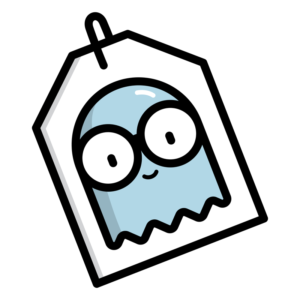 Then, there’s post-update processing when you first log-in. Once this has finished, reboot again, and you’re back to *normal*. You have three computers, but the main/server computer, is powered-off, has become disconnected from the network, etc. A new change to your systems — e.g. 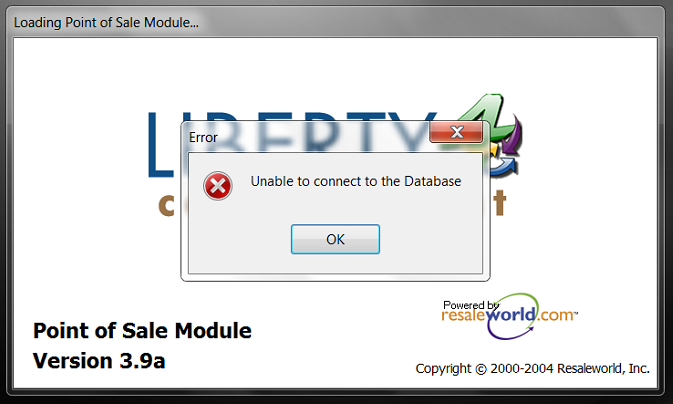 installing firewall/security software — is blocking incoming connections to MS SQL Server. 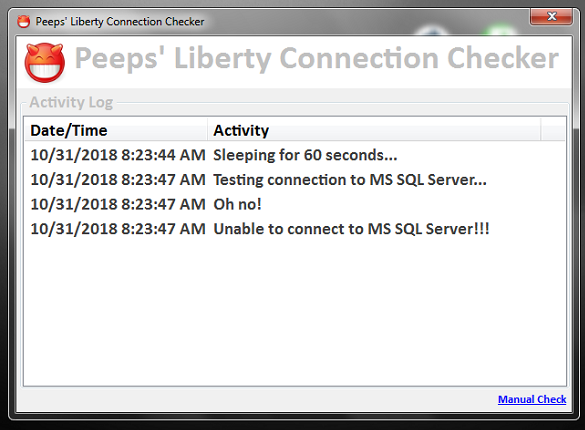 For Peeps’ customers and the systems we monitor, knowing if our stores’ systems can connect to MS SQL Server and if Liberty will be up and running for them when they open, is critical. 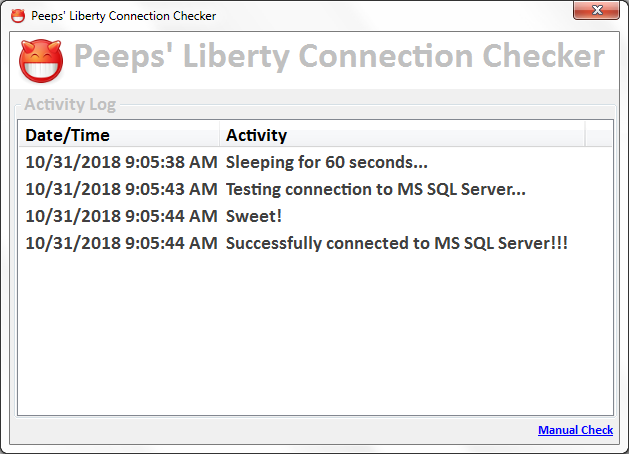 For customers on Peeps’ Support, we’ve learned over the years, that you can check all you want @ making sure MS SQL Server is up and running — that does NOT mean Liberty (or anything) is actually able to connect to the database. At the very least, suggest you reboot the computer. Automatically try to Stop/Start the MS SQL Server service for you.